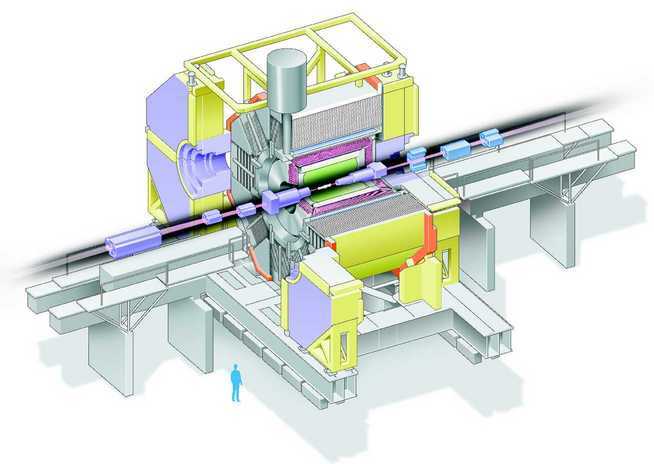 The main aim of the experiment is to investigate differences between matter and antimatter. This is done by comparing the decay properties of particles and antiparticles. It is hoped that the results from Belle will help answer some of the big questions such as why an imbalance between matter and anti-matter exists in the universe. Specifically Belle studies B-meson and anti-B-meson decays resulting from the collision of electrons and positrons at the KEKB B-factory. These particles are very short-lived, decaying in about 2 trillionths of a second. It is hoped that by studying the decay properties of the B-mesons, a deeper understanding of CP-violation will be possible. The Melbourne group has seven PhD students participating in physics anlysis at the Belle experiment. In collaborating with the University of Sydney and Wollongong we are making substantial contribution to data anaysis and the design, construction, upgrading and monitoring of the Silicon Vertex Detector, one of the most important components of the Belle detector.